One of the best aspects of mystery shopping is that it’s fun, an everyday interaction enhanced by objective analysis, rewards and payment. You get to try new restaurants, valet park for free, maintain your vehicle at substantial discounts – all in all, one of the better jobs you’ll ever have. But like most jobs, there are frustrating times when you just don’t know what to do. Situations arise that demand quick thinking, snap decisions, even soul searching to decide what’s best for RBG, the client you’re shopping for, and you personally. Mystery shopping is rewarding because you’re helping companies succeed through assessing their customer service levels and letting them know how to improve them. Granted, you’re getting paid for your time, so it’s not an altruistic endeavor, but you’re still making life better for consumers as a whole. However, if you think overly long and hard about the job specifics, you might paint yourself into a corner of guilt and self-reproach. Posing as someone you’re not causes some shoppers anxiety. First of all, you’re not playing a part for criminal purposes or deceiving anyone to harm them in any way. For most mystery shopping assignments, you use your own name and if you don’t, there’s usually a valid reason for doing so. You may have to order a food item you wouldn’t normally choose, tell a little fib about what kind of car you drive, feign interest in opening a bank account, or even pretend you have a lot more money than you do to shop financial investment services. While you may feel guilty about wasting people’s time on fabricated scenarios, remember that most employees know when they’re hired that mystery shoppers will likely test their skills at some time during their tenure with the company. And don’t forget that you’re providing business owners with information vital to their success, which makes you a “good guy” as well. Videotaping employees may seem unnecessarily invasive but it’s undeniably the best way to gather irrefutable information. Considering almost every store, private, public and commercial building, street corner, crosswalk and even city parks have surveillance cameras watching everyone 24/7, the role video cameras play in video mystery shopping becomes more of a non-issue every day. In addition, since we live in such a litigious society, you can be certain all employees had to sign a release upon hire agreeing to be recorded on camera. Most people are schooled from the time they’re toddlers to never tell a lie, that honesty is always the best policy. Watching any newscast provides solid proof not everyone was listening, but if you’re a person who embraces that philosophy, the guilt of working undercover and willfully being secretive and deceptive may keep you awake at night. Try to lighten up. Think of the FBI, CIA, undercover cops. They get paid substantial salaries to lie on a regular basis and most surely sleep like contented babies every night, not plagued by an iota of guilt. You may not be saving the world but there’s no question you’re working for the greater good. Perspective shoppers are often hesitant to sign up with RBG based on having bad memories. While it’s true a photographic memory (or something close) makes the job easier, don’t let your lack of total recall deter you. There are various tricks of the trade that can help make you a star mystery shopper. The majority of restaurant mystery shop reports ask many questions about the timing of service, which can seem overwhelming to assess when you’re observing and judging so many other aspects of your visit. Arm yourself with an inexpensive, simple-to-use stopwatch or use that feature on your smart phone to discreetly time service times. Jot down the information on a small cheat sheet under the table or excuse yourself to “take a call” or visit the restroom to update information and keep your notes accurate. Visit our Restaurant Mystery Shopping blog post to learn more. Bank lobbies have tons of brochures and hand-outs. Select a few before you approach your target and casually write down information on CD rates, minimum required balances, etc. Employees at banks will frequently write down this information for you, making your job even easier. Visit our Bank Mystery Shopping blog post to learn more. Retail mystery shops can be challenging, especially if you have to shop several departments and/or purchase specific products. Research the store layout and departments online prior to your visit. Carry a small, wire bound notebook typically used for shopping lists and act like you’re checking your list as you secretly take notes for your report. You can also use your cell phone to send yourself text or voice messages with vital information you can access later. 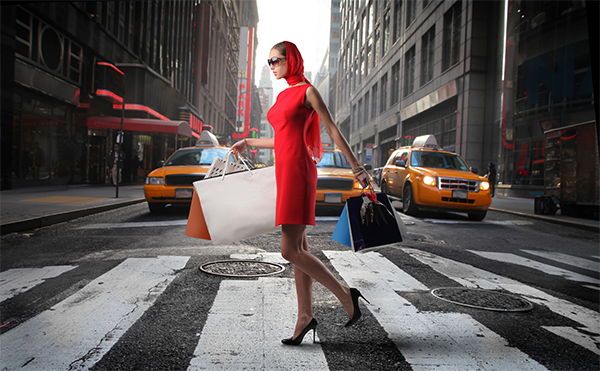 Read our Retail Mystery Shopping blog post to learn more. Apartment mystery shops are the easiest shops to take notes on while you’re there because that’s what most perspective tenants do. Use the floor plans, brochures and other promotional materials to write on and use the information to flesh out the details of your report. Visit our Apartment Mystery Shopping blog post to learn more. Having a good memory is an attribute few are born with; it needs to be nurtured to improve it. You can sharpen your recall skills online with games and exercises but, in the meantime, use the aforementioned methods to make sure your shopping reports are complete and accurate.